In the year since emo rapper Lil Peep died at 21, his collaborators are charting the course for his posthumous career. His unreleased album Come Over When You’re Sober, Pt. 2 will drop November 9, and per a New York Times report, his label will debut previously unheard songs recorded with his friend and collaborator iLoveMakonnen. Also coming: a soundtrack to accompany a documentary about Lil Peep’s life, to be executive-produced by Terrence Malick. According to the Times, Malick — a pop-music savant — happens to be a family friend. The Times also reports that those in Peep’s life were divided on his XXXTentacion collaboration “Falling Down,” released after both their deaths. “For some, the discovery of the recording was kismet, a way to connect the music and power of two rising stars who died way before their time. For others it was a craven collision of agendas,” the Times reports. 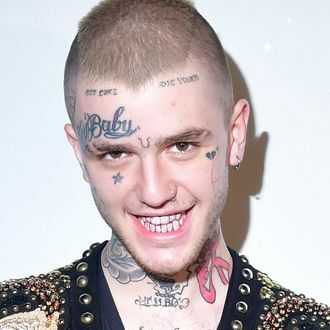 “Several of Peep’s old GothBoiClique collaborators spoke out on social media about Peep’s wariness of XXXTentacion because of the severe allegations against him. Putting them on a song together after their death washed away the very real differences between them in life.” Lil Peep and XXXTentacion had never met in real life, but Lil Peep’s mother agreed to release the song after X’s mother reached out to her.